Cosequin can be given whole, the tablets crumbled and mixed with food, or the capsules can be pulled apart and the contents mixed with food. After initial loading phase, reduce the amount given gradually in 1⁄2 to 1 tablet steps to maintenance level. This maintenance level can then be used long-term to support joint health. There are no contra-indications or restrictions on the use of Cosequin. 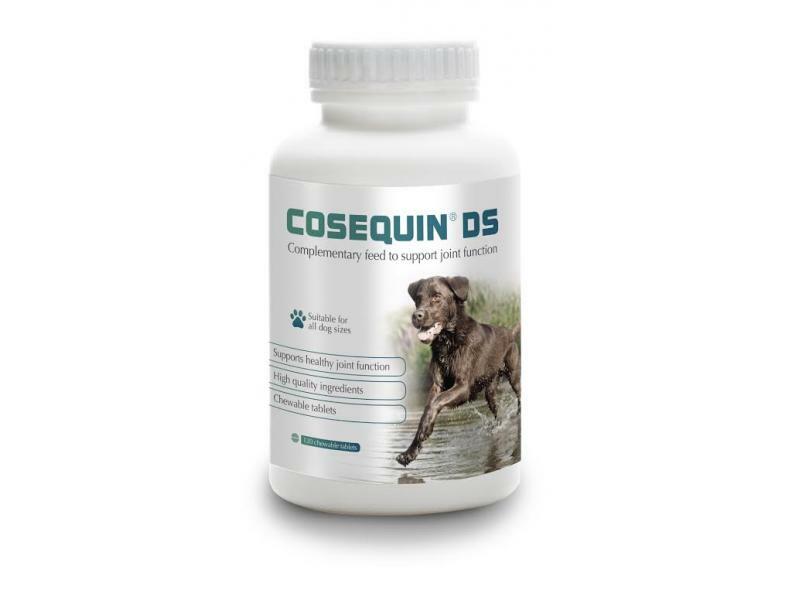 * Cosequin® DS contains FCHG49® Glucosamine Hydrochloride and TRH122® Sodium Chondroitin Sulphate, Nutramax Laboratories' proprietary veterinary researched specifications. 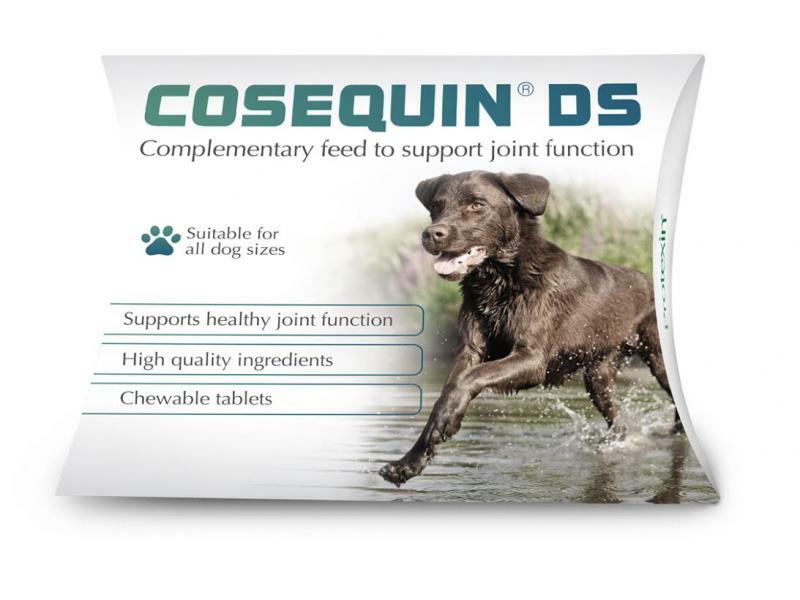 Below are some recent questions we've received regarding Cosequin Joint Supplement, including answers from our team. Joint supplements like Cosequin tend to be very safe and should not interact adversely with other medications. This supplement should be fine to give to your dog alongside heart meds. Changing from seraquin to cosequin? Cosequin and Seraquin are quite similar but both contain high concentrations of quality ingredients. Where Seraquin contains slightly less Chondroitin it does contain Turmeric which is a natural anti-inflammatory. If your dog is happy and enjoys Seraquin I would probably continue with that. If you wanted to try something different I would recommend Yumove which contains a joint lubricant called hyaluronic acid alongside glucosamine and chrondroitin. This is probably what I would choose for my dogs but it is worth trying a few to see which one works best for your dog. 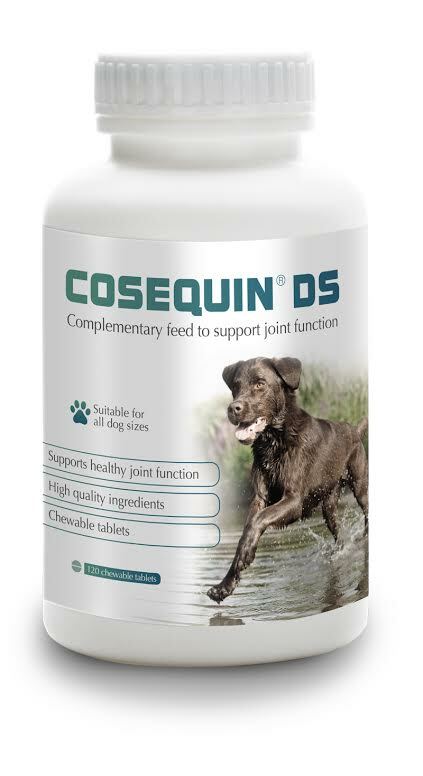 My dog weighs 10.8kg and he has been using cosequin ds for about 5 years he has always been fine on 1 tablet per day; he also has regular cartrophen injections. For the most part his movement is fine but he seems to be struggling with jumping up and climbing steps now so we were wondering if it would be possible to up his dose even temporarily to see if this helps or if there is another, stronger product you could recommend. There has been very little research done to compare one product with another, so it is not really known if there is a "stronger" product of this type, other than the prescription medicines for arthritis etc. It is safe to increase the dose, or alternatively you could try one of the other products which are proving to be very popular with lots of positive reviews. Yumove and Joint Force are good examples of alternative products which I could recommend. If your dog is getting worse then a visit to the vet to get things checked over might be good plan. It is safe to combine these two treatments. They are essentially very similar anyway, so it is a bit like doubling the dose of one of them. This might indeed be good, because there is no scientific proof of the best dose to use and given how they seem to work, higher doses might well be more beneficial. Personally I am sure it will be safe to do as you suggest, I am not sure if you will get any significant benefit from doing so, but you might! My 6yr old rottie is on trocoxil, can she also take this supplement. Has had problems since birth. Joints now beginning to swell. 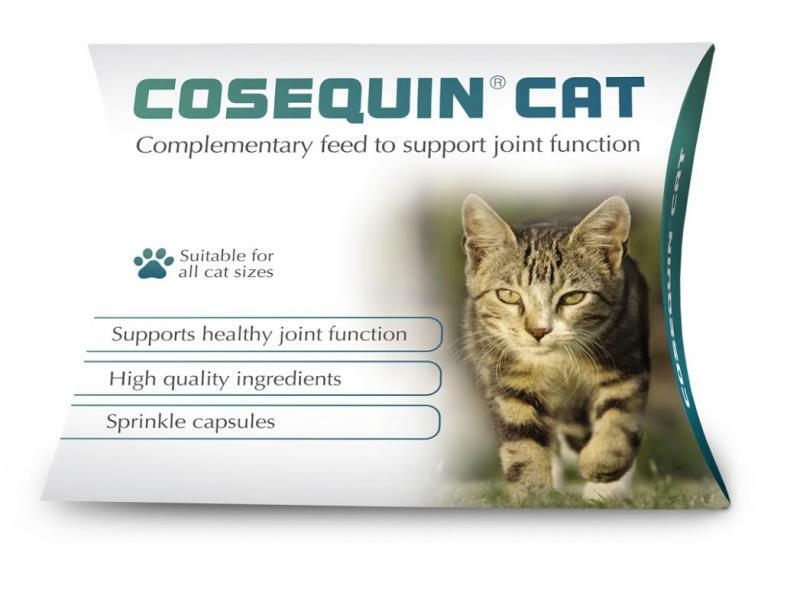 Cosequin is one of a group of joint supplements which are all essentially very similar. They appear to provide a mild to moderate help to arthritic dogs. They are also very safe and can indeed be combined with Trocoxil or other similar drugs. Many dogs are on a combination like this in fact. I think Cosequin should be a help to your dog and is worth giving. my dog is 9 years old and she is on metacam from the vets . can she take cosequin as well as a supplement . or is the metacam the only one she needs to take . Metacam is more powerful than Cosequin and will probably provide the most help. 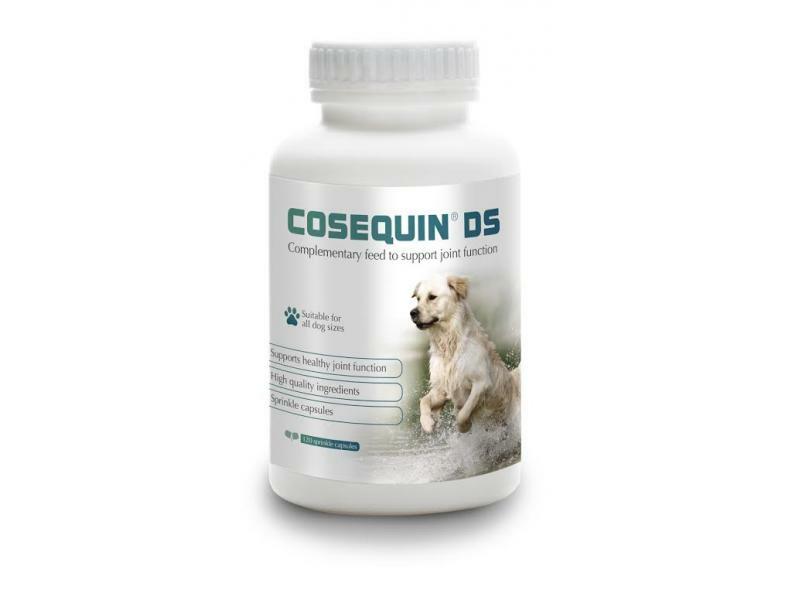 Cosequin works in a completely different way and can add to the effect in a very safe and natural way. Many people do combine the two medications together and ideally this is what we would certainly recommend. I'd like to cost this supplement for a young Gypsy Cob, weight about 450 k, newly diagnosed with early hock spavin. The dose rate for a 450kg animal is 3 level scoops twice a day for the initial loading period of 4-6weeks. The dose is then reduced to 1-2 level scoops every day after that. Each 700g tub contains approximately 120 level scoops. You will use almost 2 tubs for the loading period and a tub then will last for about 17 weeks at the low dose rate after that.